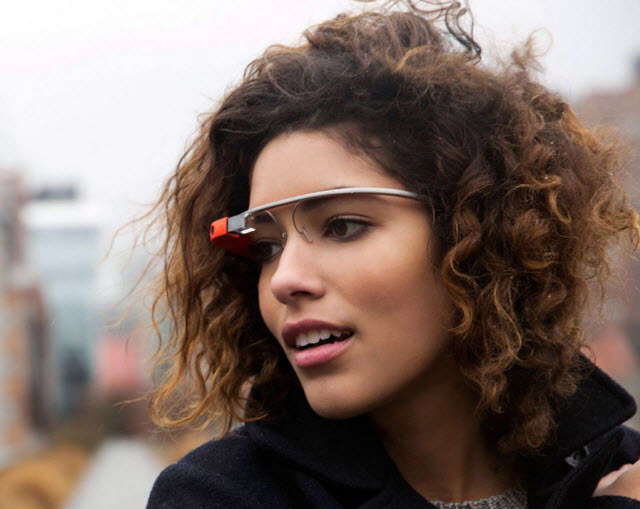 Is Google Hiding Something behind the Long Hair of Google Glass Model? Home / Google / Is Google Hiding Something behind the Long Hair of Google Glass Model? We are all excited about the wearable augmented reality glasses which are expected to release soon by Google. After seeing such a wonderful demo videos of Google Glass, it feels like WOW, something similar to the first demo of iPhone back in 2007. After seeing the demo of Pranav Mistry’s Sixth Sense technology in TED 2009, I thought okay, so now we have to carry a camera placed near to our head, a scanner probably near my ID card, something near nails and fingers for gesture movement etc. So finally I will look like Robert Downey in the Iron Man movie. But at the same time I thought how much battery life I need for such device which promises to be with me all the time and keep things updated etc. A device (such as Google Glass) which is having a camera, microphone, speaker, GPS, Wi-Fi, thermostat and many more other features, it covered almost everything of Sixth Sense technology in a glass but it is expected to be a power-hungry one. 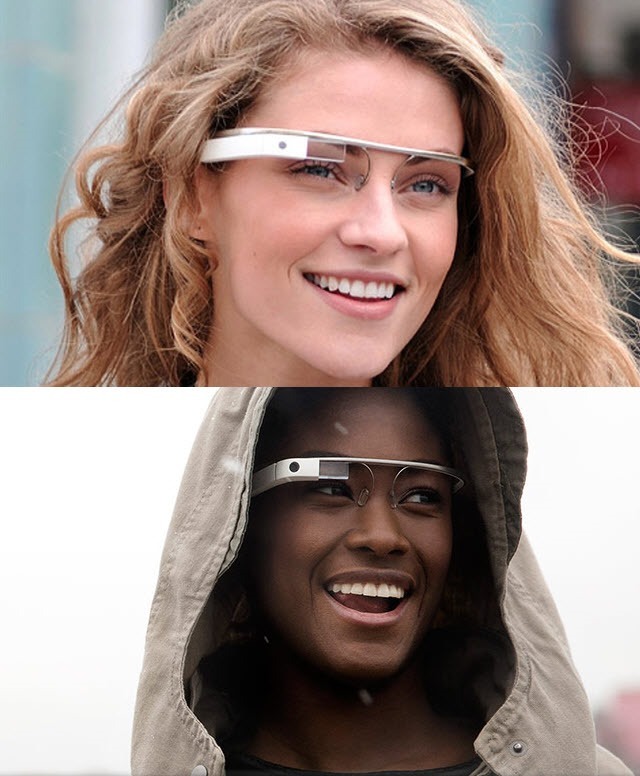 Google released the pictures of Google Glass with female models having long hairs or wearing a hoodie. The female model wearing hoodie covered the backside of head area with hood whereas the long hairs hide some of the Glass parts. Are these pictures intentionally shoot to hide something related to the Google Glass design? Probably Yes! The end of the right arm curve of Google Glass is having Lithium-ion cell (batteries commonly used in Smartphones) fitted in a curved case. In above shots, the backside area of Google Glass with battery case is not visible and I am not sure if that will look a bit odd to have such a large case attached behind your ears and probably that’s why Google Glass models were not shown with full glass view. 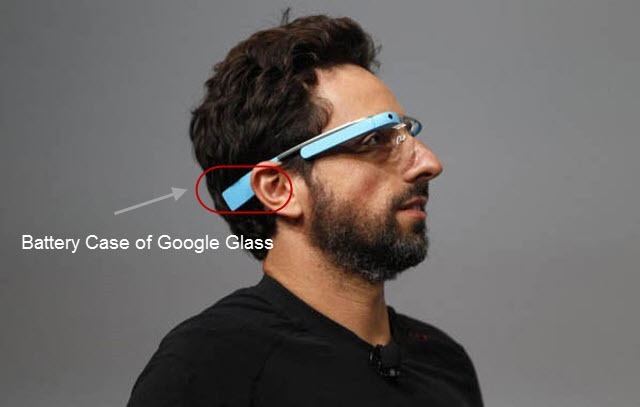 Here is a picture of Google’s co-founder Sergey Brin wearing Google Glass. You can see the Battery Case visible at the end of the curve of the glass. Google has not revealed the complete technical specification of the device yet, but with such power consuming features like video playing, Google Hangout, Messages, Directions on Maps, GPS locations, Weather Information etc. we should not expect a backup of more than 8 – 10 hours. Don’t expect more battery life otherwise the battery case size will increase and will become more uncomfortable to wear the glass. Alright, I missed the heating part of the battery, so not sure if I would like to have a hot battery near my ears. I am not against having a wearable tech but these things should be taken care of before the public release and companies should reveal the complete design of the device rather than long hair and hoodie. Google Glass was available for pre-order for $1,500, but now the application is closed. We will have to wait to see what else Google is hiding about the Glass project.